Fed Transcripts: Economists can be funny too! Wouldn’t you hate it if you were to come upon a transcript of what you said, as you navigated a difficult time in your life? Now imagine what it would be like if that transcript was released publicly -- chances are, you would wish you could rewrite history. Alas and alack, without the ability to go back in time, you would be stuck with your mate or your dear friend saying, “Well, you did the best you could during a rough patch.” Those thoughts went through my head as I poured over the 2008 FOMC transcripts and then read all of the second-guessing by the financial press and various pundits. The bottom line is that not only was the Fed slow to realize the gathering storm in 2007 (In May 2007, Ben Bernanke said “We believe the effect of the troubles in the subprime sector on the broader housing market will likely be limited, and we do not expect significant spillovers from the subprime market to the rest of the economy or to the financial system”), but when the once-in-a-generation storm made landfall in 2008, the Fed was caught flat-footed and “behind the curve,” according to Chairman Bernanke in January 2008. For much of the spring and summer, some Fed officials thought the worst was over. In August, St Louis Fed President James Bullard said, “My sense is that the level of systemic risk associated with financial turmoil has fallen dramatically” and even Janet Yellen, who was prescient about the severity of the crisis earlier in the year and predicted recession before the NBER declared it so, momentarily took her eyes off the ball and worried unnecessarily about inflation. OK, but that’s really cherry-picking the worst quotes from the year. (For the record, it appears that Boston Fed President Eric Rosengren may have been the most spot-on with his analysis of the crisis.) 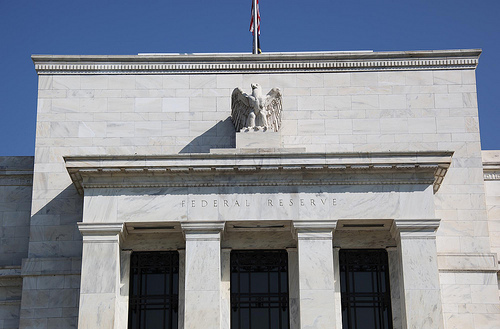 In the last third of the year, circumstances demanded swift and decisive action and Fed officials rose to the occasion by slashing interest rates, buying bonds and implementing a variety of strategies to prop up the US and global economies. MARKETS: The quiet, holiday-shortened week was highlighted by two technology sector deals: the maker of Candy Crush Saga is going public and Facebook is paying $19 billion for WhatsApp. THE WEEK AHEAD: As we enter the third year of the housing recovery, two reports on real estate prices are expected to confirm that increases are slowing down from last year’s brisk pace. But the old saying “location, location, location” may still hold. According to HSH.com, housing affordability varies dramatically across the country. For instance, you need an annual salary of about $20,000 to afford a median home in Cleveland, but you have to earn a whopping $115,000 if you are seeking a median-priced home in the San Francisco area. Newer PostBuying vs Renting: Which is Better?